Yes, it was a very wet day but PerformancePro’s Enable Cycle Team braved the elements to complete last month’s Prudential RideLondon. Thanks to their efforts AND your generous support, we’re delighted to announce we have raised a hugely valuable total of £4290 for the One to One Children’s Fund’s work in South Africa. 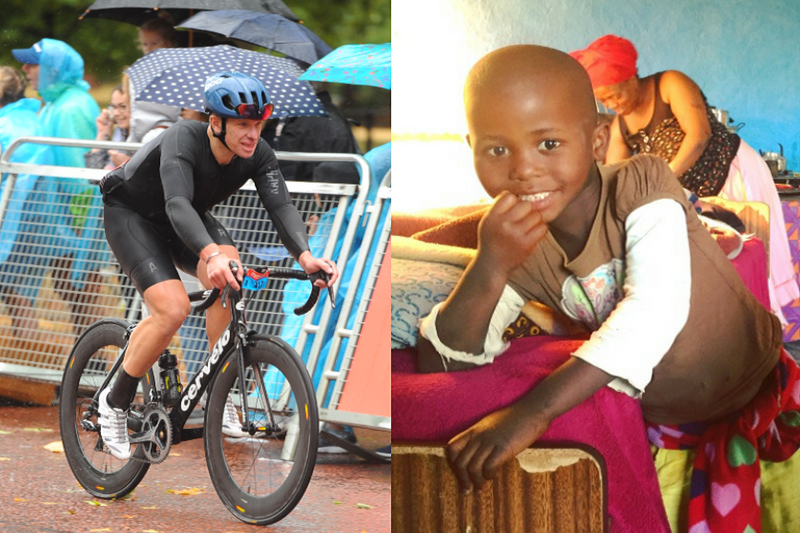 The One to One team is working to make the dream of an HIV-free generation come true, and the PerformancePro RideLondon team was cycling to help them. In addition, Performance Pro client and One to One Patron, Kevin Gundle raised an incredible £30,000 for the Mentor Mother Project. We asked David Altschuler, Executive Chairman of the One to One Children’s Fund, to explain the impact of our fundraising. David is also a PerformancePro client and he was delighted with our performance! ‘A fantastic effort all round from PerformancePro trainers and clients. Huge thanks to Anthony Purcell for leading the charge and to Dan Boulle for his fantastic support. We also asked the PerformancePro’s Enable Cycle Team about their experience on the day, their highlights and most surprising achievements. Not surprisingly, finishing the race in such terrible conditions featured heavily, as did not falling of their bikes! PerformancePro director Anthony Purcell’s highlight was eating a hot ham and cheese croissant after finishing! We were also heartened to hear that for many of the team, their passion for cycling remains undiminished and future ambitions include winning the Lee Valley Winter Track League and heading to Girona for an end of season training camp with GPM10. As the road race season starts to wind down, many of our cycling clients are turning their focus to sustaining and building upon their strength and conditioning over the autumn and winter. • Fun! Our coaches are all passionate about their work and skilled at keeping things interesting.